The #1 trusted brand since 2003, doctor-developed and clinically proven to enhance fertility. Friendly and knowledgeable product specialists are ready to help you along your TTC journey with ongoing email, phone and chat support. Doctor-approved and ObGyn-recommended supplement designed to increase fertility and improve reproductive health. • Designed to help balance the hormones that govern the monthly cycle and reproduction. • The only fertility supplement offering 100% Daily Value of vitamins, including folic acid, minerals and antioxidants to enhance your fertility diet. • ObGyn formulated and recommended for those struggling with female infertility. A male fertility enhancing pill designed to improve sperm count, motility, and morphology. Doctor-developed and clinically proven. • Contains L-Carnitine, shown to increase sperm count, quality and motility. • Includes an array of antioxidants and minerals, including a powerful dosage of zinc and selenium, that support male reproductive health. • Safe, non-prescription formula that is clinically validated and Doctor-approved to help those dealing with male infertility. 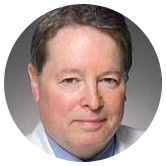 Women with irregular cycles – irregular cycles can indicate an underlying hormonal imbalance. Women with PCOS – PCOS can interfere with ovulation and is the single most common cause of infertility in women. Couples who’ve been trying to conceive for an extended period of time – if you have been trying to conceive for 6 months, nature might need a boost. If you tend to be proactive, you might want to increase your chances from the start. Women who’ve taken Clomid or other fertility drugs – Clomid and others can help a woman ovulate but, like all prescription drugs, there are side effects. Men with low sperm count – conception is affected by numbers and the lower the sperm count, the lower the likelihood that one will be able to successfully fertilize the egg. Men with low sperm motility – sperm must be able to swim with a healthy forward motion in order to reach an egg. Men with varicoceles – if you have been diagnosed with varicoceles, consider trying FertilAid for Men before resorting to a surgical repair. Couples trying to conceive after age 35 – fertility declines as we age so if you are starting after the age of 35, it can often take considerably longer. Couples who’ve tried IVF or other fertility interventions without success – a decision to start or continue IVF treatment is not one to take lightly as it’s quite expensive and stressful to the relationship. 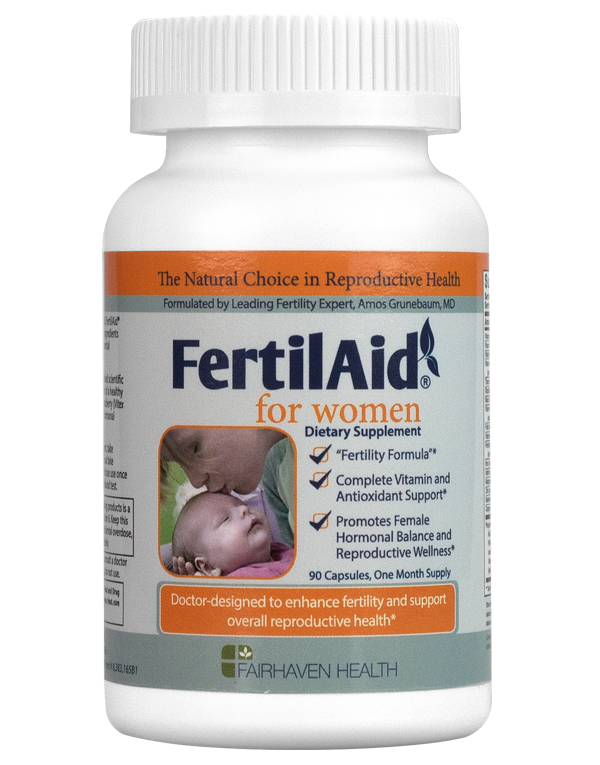 FertilAid for Women features a patented, proprietary formula that integrates complete preconception vitamin and mineral support with herbal ingredients like chasteberry (vitex) and red clover blossom – designed to help restore female hormonal balance, promote regular ovulation, and support overall reproductive wellness. Doctor-designed FertilAid for Women has helped tens of thousands of women to conceive. Learn more about the ingredients in FertilAid for Women and how they work. 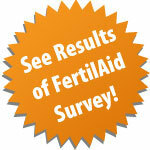 Find out why FertilAid for Women is the right choice in fertility enhancing supplements for trying to conceive women. Buy FertilAid for Women today! 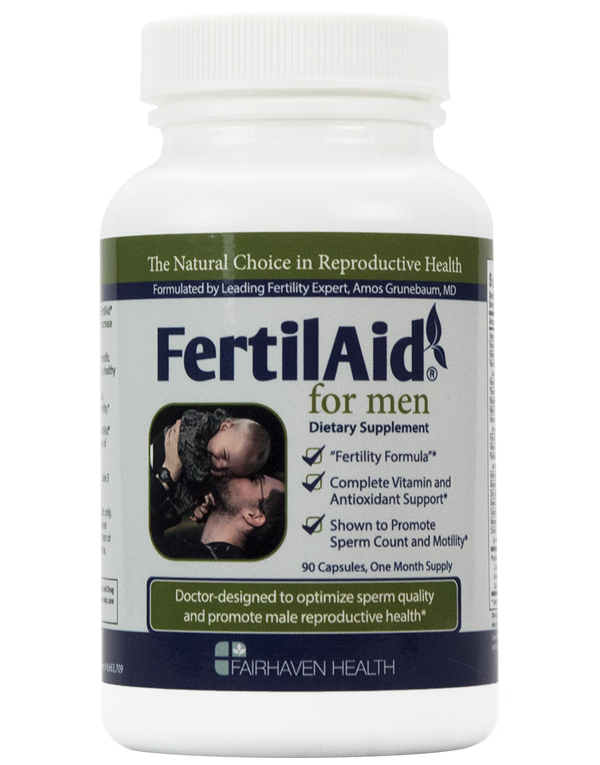 FertilAid for Men offers an effective, patented formula that includes L-Carnitine and a comprehensive array of potent antioxidants to help optimize male fertility safely and naturally. Clinically validated and formulated on the basis of established scientific research, FertilAid for Men promotes healthy sperm development, and helps improve sperm count, motility, and morphology. Recommended by leading fertility specialists, FertilAid for Men has helped tens of thousands of men improve their sperm parameters. See the results of the recent double-blind, placebo controlled FertilAid for Men Clinical Study. Learn more about the ingredients in FertilAid for Men and how they work. 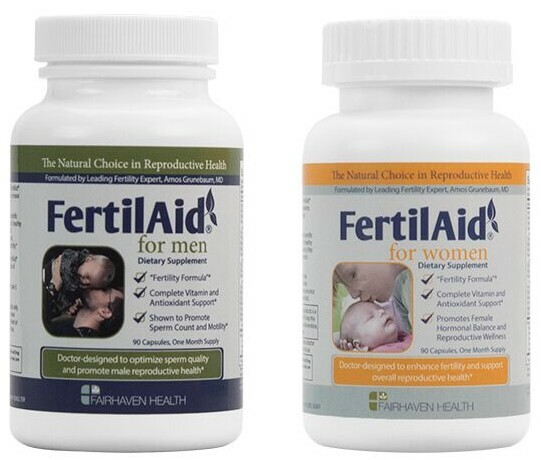 Find out why FertilAid for Men is the right choice in fertility enhancing supplements for trying to conceive men. Buy FertilAid for Men today!